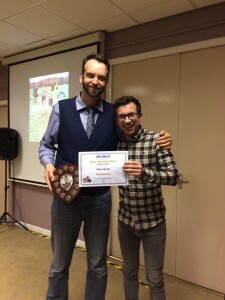 Our Annual Awards Night took place last weekend, reflecting on another fantastic year for the club and recognising a number of significant achievements. 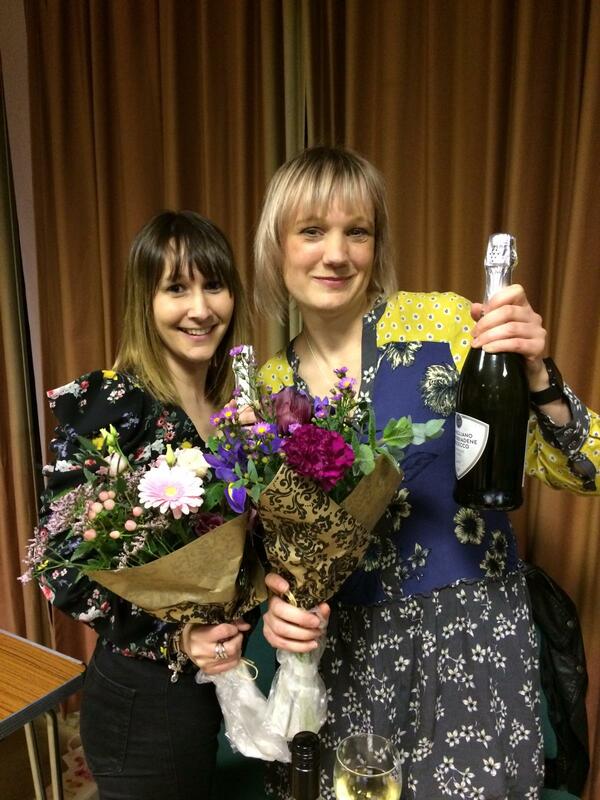 A huge thanks to Clare Rogers, Natalie Hale and Dan Wilson for their help in organising a brilliant evening. If you missed it, here are our award winners from the night! Jo Gray – Community Contribution: Her work in setting up Keppel parkrun for young offenders at Wetherby. 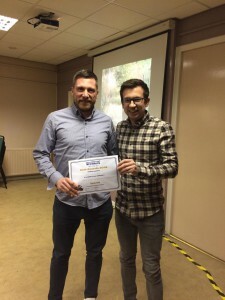 Gary Wilkinson – Commitment to running, progression and social participation. 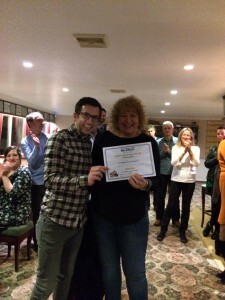 We also offered our grateful thanks to some hard-working Committee members who are stepping down having completed their terms of office: Clare Rogers and Nat Hale (Social), Eric Morley (Race Secretary) & Dan Wilson (Vice Chairman). DJ Dan – our departing Vice Chairman – on the deks. 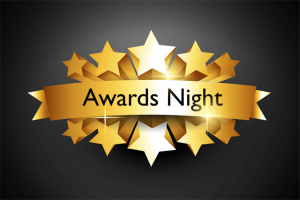 This Saturday – Our Awards Night! 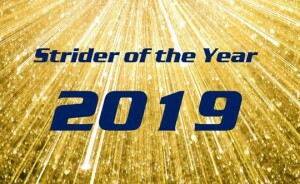 This Saturday (9th March) sees Striders’ Annual bash as we celebrate the year gone by and acknowledge some of the tremendous efforts by our members. Alongside the presentation of our 2018 Club Championship awards, we will announce our new ‘Strider of the Year’ and other awards. There will also be other spot prizes to be won on the night. The venue is Knaresborough Cricket club – all members are warmly welcome! 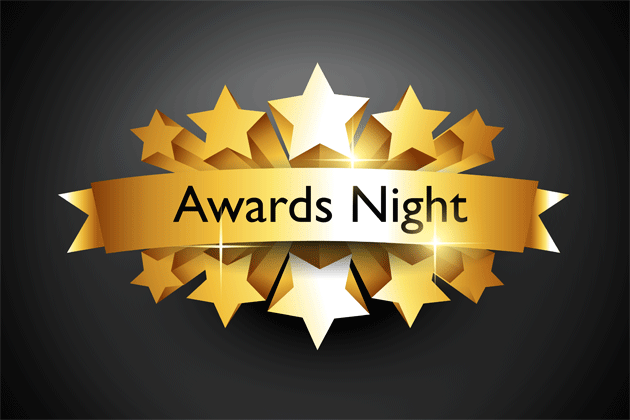 Arrive from 7.30pm for an 8pm start of the awards. 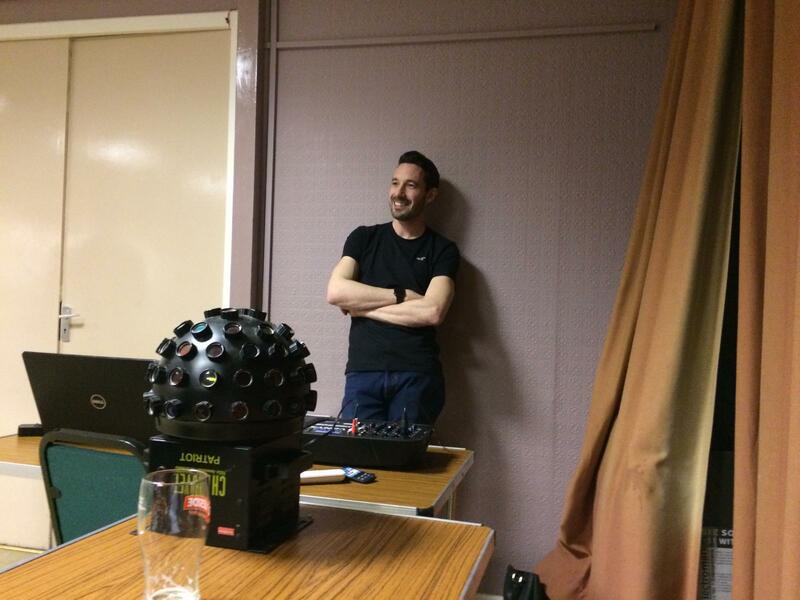 With the awards completed, we will be treated to another special appearance from our resident DJ Dan Wilson. Featuring… Dave in War Paint, hills, snakes, lakes, hills, and more hills but sadly no axes. February. Just long enough to bridge the gap between January and March. With cold, barren landscapes, the continued absence of daylight and resolutions becoming a distant memory, it’s a wonder that any running happens at all! Not so for our Striders though, who cranked up their competitive efforts as the race calendar began to stir from its winter slumber. It was probably some help that the harsh conditions of 2018 stayed away too! The birthplace of the Brownlee brothers, Dewsbury played host to six Striders who took part in the 10km race there. With a slightly uphill first half, the course lends itself to negative splits and PBs. This proved to be the case as our Striders clocked some blistering times so early in the year. 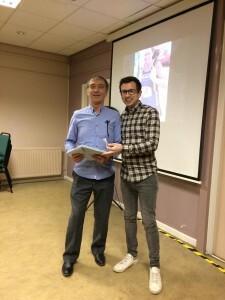 Tom Calvert led the Striders home in a fabulous 35:05, whilst James Wright was setting a new PB of 37:21 followed less than a minute later by Martin Brock (38:07). 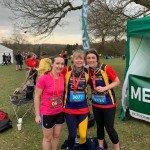 Nicola Carter (47:16), Fyn Lees (53:54) and Jo Gray (1:14:19) completed our representatives in a huge field of 1700 contenders. Dave digs in at Roundhay Park PECO! You’ve already seen the final results of this year’s PECO season, but how exactly did things shake out in the final round at Roundhay Park? Once again the runners were welcomed by unseasonably warm weather, but this time enjoyed the opportunity to race together for the first time in the series. A more open course swept the runners around the edges of the park, albeit with a couple of leg-shredding climbs en route. Steve Morland was first to emerge over the hill and past the bandstand into the finishing straight, clocking 30:58 in 66th place, narrowly ahead of series stalwarts Ted Shelton (31:18) and James Wright (31:55). Issy Rowe closed out her successful series, claiming 12th lady in 33:36, only a little ahead of the departing Gary Wilkinson (34:24) and Sima Lowery (35:52). By now the Striders were swamping the finish line: Sean Brennan (36:01), Ian Mitchell (37:20), Mark Shelton (41:12), Andy Tibbals (41:31), Lisa Harrison (42:01) and Jason Green (42:33). 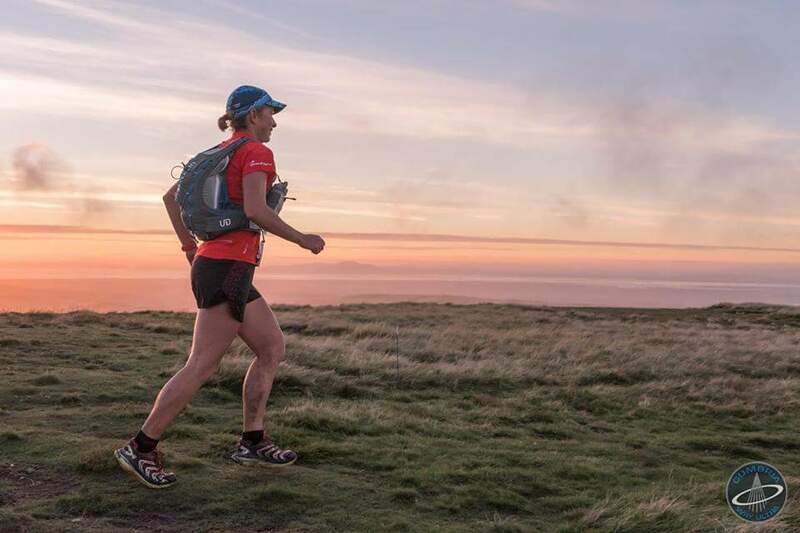 Sue Morley (43:14) once again claimed first place in her age category, ahead of Julie Elmes (44:09), Claire Killingworth (44:26), Fyn Lees (44:55), Claire Baxter (45:43), David Sinton (45:55), Pam Singleton (46:39), our outgoing Strider-of-the-year Edna Wood (47:09), Debs Goldfield (47:56), Sarah Gore (48:34) and Sally Taylor (49:42). So we reached the end of really well-attended and positive series. ICYMI, here are the series results: PECO Round-up. 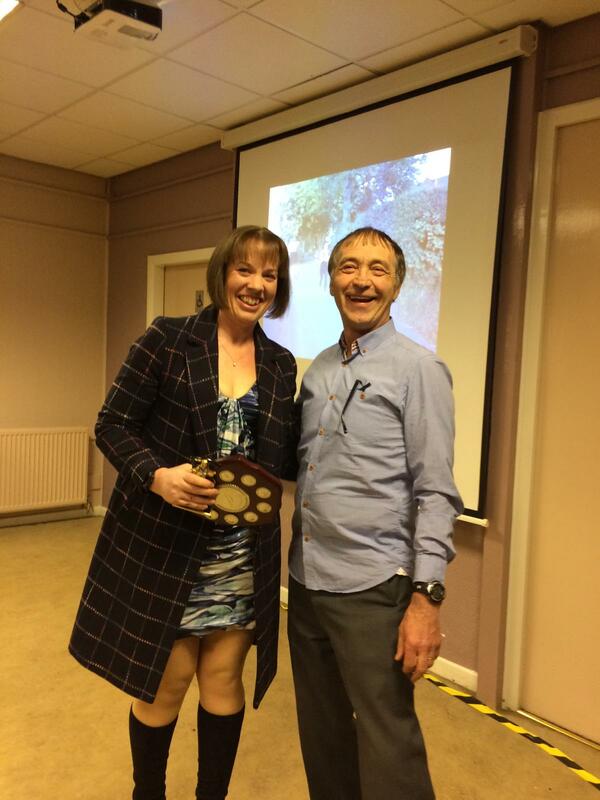 Don’t forget though that the PECO relays take place on 31st March and are open to all. 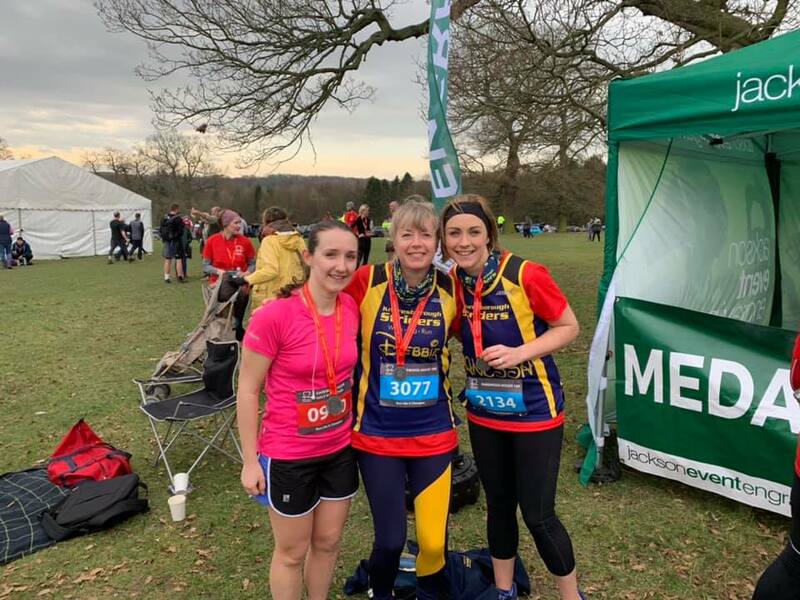 The Muddy Boots 10k remains a popular test for runners early in the year, heading out of Ripon to take in a challenging mixture of terrains and elevations. The deceptively clean and tidy start out of the city soon gives way to the more rural terrain which gives the event its name. Stewart Hymas (49:10), Craig Mitchell (49:40), June Graham (1:01:37), Sally Fannen (1:02:47), Dawn Richardson (1:08:40) all performed strongly around the course. Jo Bower & Edna Wood headed down to Nostell for the extra challenge of the dark. We haven’t been able to find any results yet but rest assured they returned safe and well! Some of our Liversedge entrants. 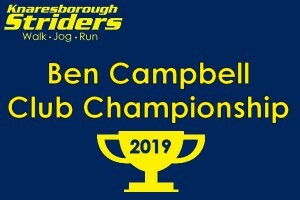 Our Ben Campbell Club Championship got underway over at Roberttown, where the very friendly Roberttown Road Runners hosted their very challenging Half-marathon. Stretching between Liversedge and Brighouse and twice passing over the M62, the route heads in and out of the valleys which typify the area, with a steep descent to the River Calder quickly followed by the brutal climbs which persist throughout the remainder of the race. Some blustering wind on the high ground only added to a challenge which demanded some gritty and determined runs. Not the most forgiving circumstances in which to make your half-marathon debut then, yet that’s what Dave Sinton did, clocking a great 2:03:34 and showing the incredible progress in stamina and speed which he continues to develop! 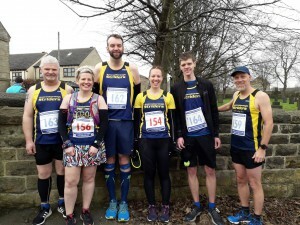 Another six Striders took up the challenge: Steve Morland (1:30:41), Anthony Mulley (1:49:49), Claire Baxter (1:56:02), Mark Shelton (1:57:44), Ryan Middleton (2:04:41) and former Roberttown resident herself, Sarah Gore (2:21:09). The British Heart Foundation’s event at Harewood is a popular charity challenge with a hilly route along trails, forest inclines and tree-lined fields in the stunning grounds of Harewood House. Whilst mud was less in evidence than at previous events, the rolling hills of the estate nonetheless meant that whichever distance was chosen would proved a stern test. 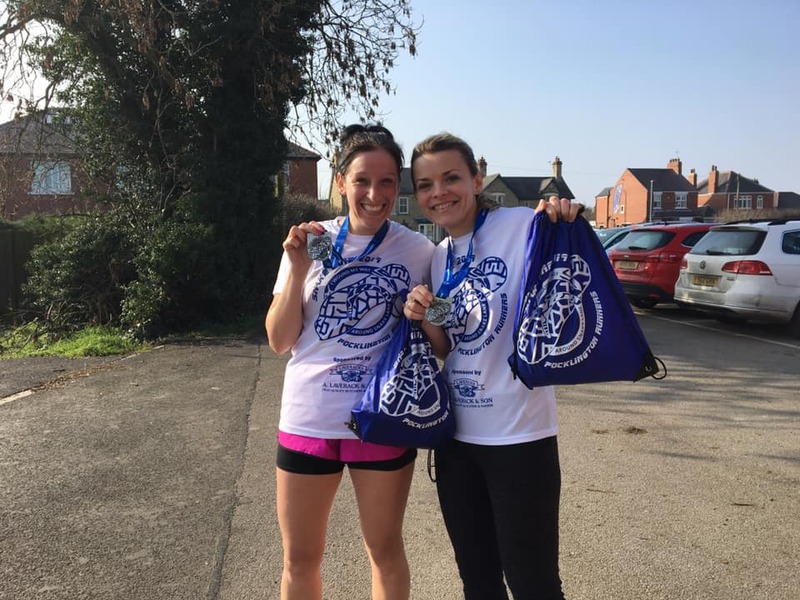 Claiming their finishers’ medals and t-shirts in the 10k event were: Vanessa El-Atriby (50:31), Debbie Herridge (51:40) and Gosia Przybyl (56:02). In the longer half-marathon option were: Mhairi Sellar (2:03:44), Amy Naylor (2:07:50), Beyham Akyollu (2:07:51) and Sally Fannen (2:31:42). Apologies to anyone we’ve missed! Due to Health and Safety regards, this Viking-inspired event features neither Axes nor Blood. That would be stupid anyway. So, what better way to celebrate the Viking years of rule in Yorvik than to go to the tiny 1km Heslington cycle track and then persuade enough willing idiots to run around it non-stop for 2hours? With clearly nothing better to do, a quartet of Striders took on this dizzying spectacle. James Wright completed 27laps , whilst Julian Carr clocked 22, Lisa Harrison 21, and Fyn Lees 19 whilst Emma Hall and Jo Gray both saw 14km tick past. They should all be thoroughly commended but instead we’re providing some counselling sessions to help them to recover. 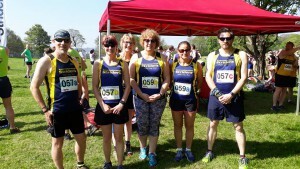 With the National Championships being held so close to home this year, several Knaresborough Striders took the opportunity to test themselves alongside 8,000 of the finest junior and senior athletes in the country. The grounds of Harewood House provided the same hilly and grassy challenge which it had offered just a few days earlier for the BHF event. The huge fields for each race (no pun intended) were typified by incredible quality which, combined with the energy-sapping grass, made for the sternest of tests. In the senior ladies race, Issy Rowe (36:25) was the first to complete the 8km course, joined by Sima Lowery (37:11) and Julie Elmes (47:10) in a field of over 800. The final race of the day was the 2000-strong senior men’s 12km race, featuring the ‘widest’ cavalcade start of the day! Our fearless four were: Steve Morland (47:57), Ted Welton (49:12), Gary Wilkinson (54:14) and Sean Brennan (58:58). A huge well done to our squad who turned out. One of our very newest members, Donna Tucker, took part in the 10K event at the latest ‘Grim up North’ event, clocking a very respectable 1:04:55. Welcome to the club Donna! 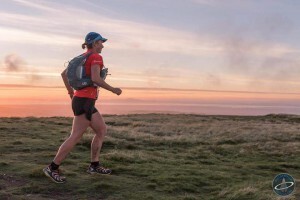 Beautiful weather greeted this year’s edition of the Ilkley Fell Race, reducing the amount of mandatory kit to be carried, but the tough terrain remained! Not content with having competed 24-hours earlier at the National Cross Country, Sean Brennan clocked a strong 58:59 on the trails above Wharfedale. 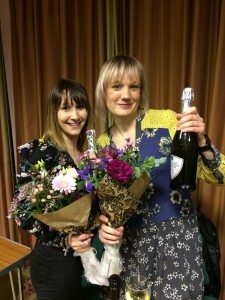 Gosia Przybyl and Fyn Lees travelled to Pocklington to take part in the fantastically-named ‘Snake Lane 10’. As its name suggests, the course has a winding stretch that snakes its way through beautiful East Yorkshire countryside at the foot of the glorious Wolds. 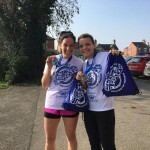 Gosia clocked 1:28:17 and Fyn 1:33:27, then collected their bling. So with that, February was done. Striders now look forward to lighter nights and more events from which to select, whilst keeping their fingers firmly crossed that winter doesn’t make any determined efforts to disrupt those plans! 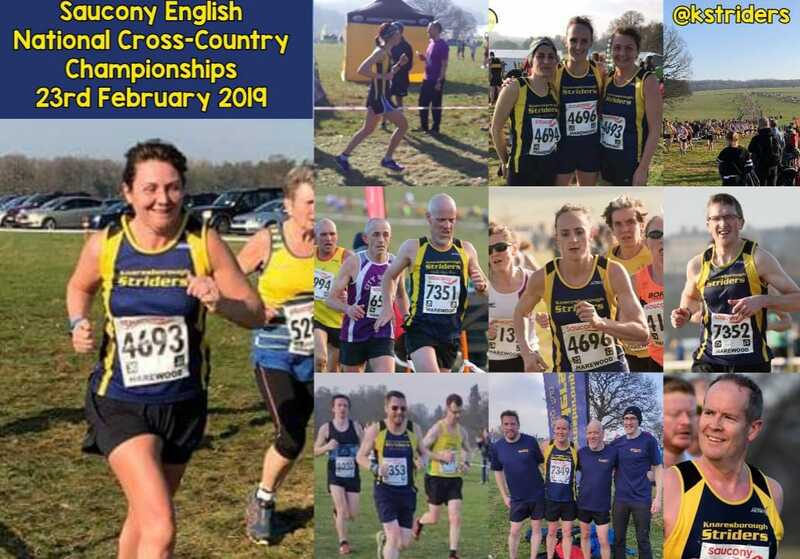 March sees the continuation of our club championship at the Harrogate and Dentdale rounds, the ever-popular Thirsk 10mile, the fabulous PECO relays and the somewhat-flat Elvington Flyer, just to name a few. This Thursday (28th) is our first session of the year with our visiting coach Emma Kicks. Meet 7.30pm at the Cricket Club. The season will be Speed Endurance on tarmac. There will be no other ‘official’ groups with leaders going out on this occasion – we’d love everyone to give Emma’s session a try – although you are of course welcome to head out with care in your own groups if desired. 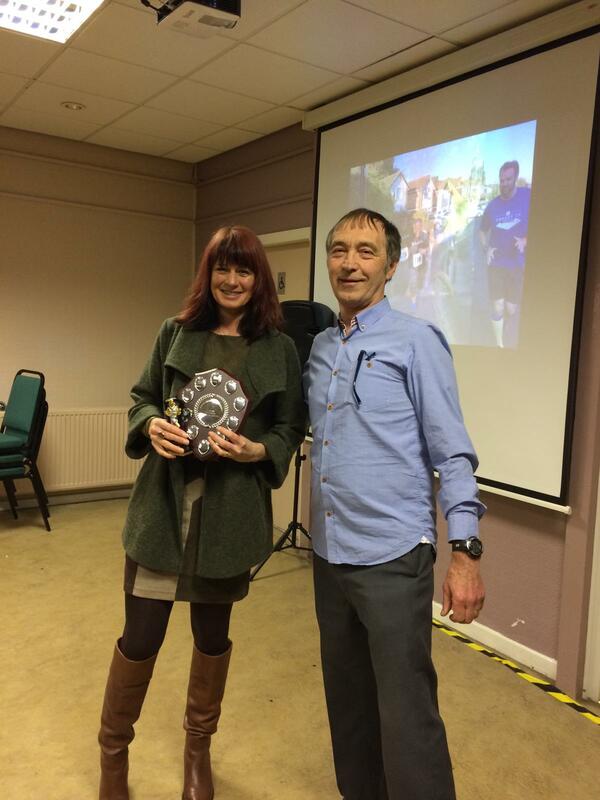 The Peco Relays take place on Sunday 31st March at the John Charles Centre (aka Middleton Park) Leeds. 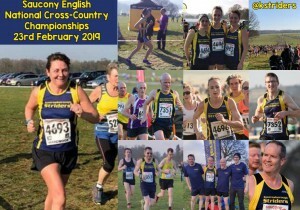 It’s a different and fun end to the XC season, seeing teams of 3 runners from clubs in both the PECO and West Yorkshire XC leagues go head-to-head. The leagues also form representative teams from the highest-placed runners in various categories. Each runner completes the same XC lap (roughly 3miles) in turn. 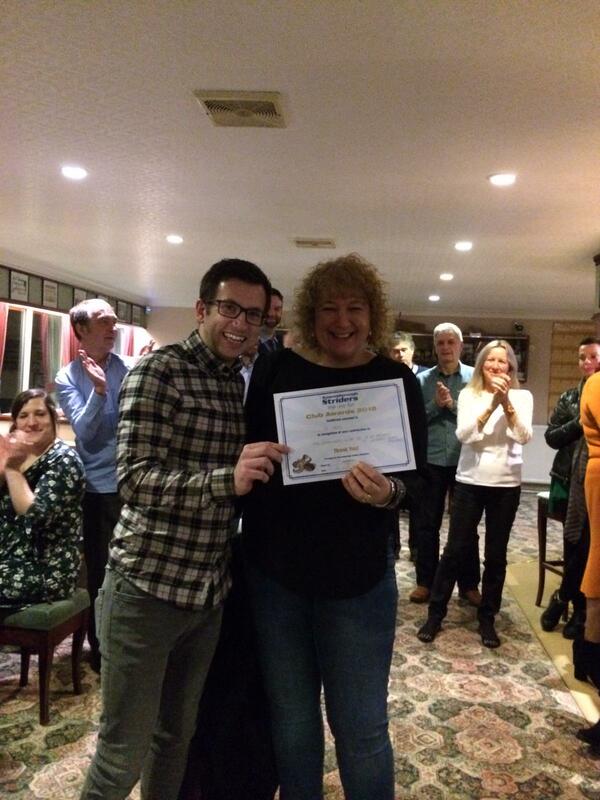 We can enter teams of all standards and you do not have to taken part in any of this season’s PECO rounds. Please let Eric know if you are interested: we’d love as many Striders as possible to take part. Championship Round 2 – this Saturday! 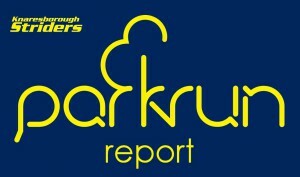 Rock up at parkrun and get some championship points too! 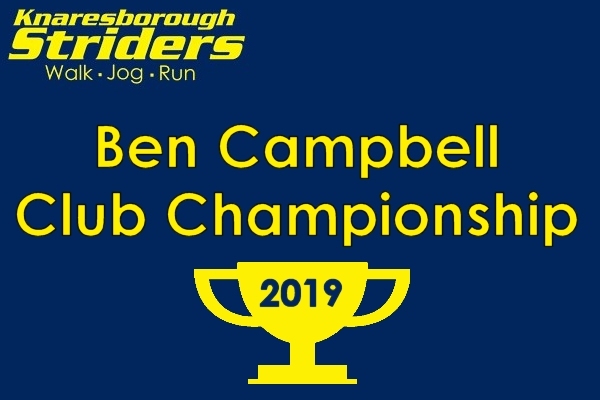 With Liversedge Half-marathon already a hilly memory, our Ben Campbell Club Championship quickly moves onto Round 2 of 15 this Saturday. 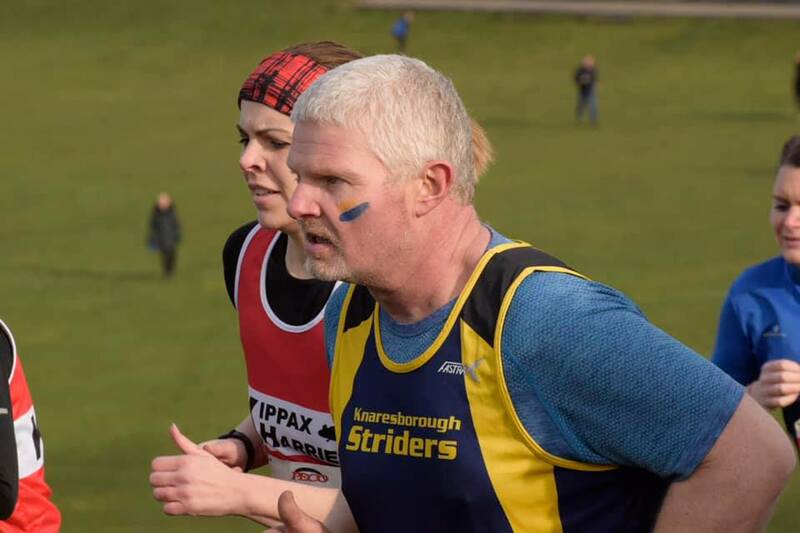 For this round, Eric has chosen a very different event – the substantially flatter and shorter Harrogate parkrun. A very familiar venue for many of our club members, just running your usual three laps around the stray should ensure that your name pops up in the Championship standings. Remember that there are four categories: for Male & Female, Senior & Veteran and that your Championship position is determined by an age-adjusted time. So it’s a level playing field – like the Stray. 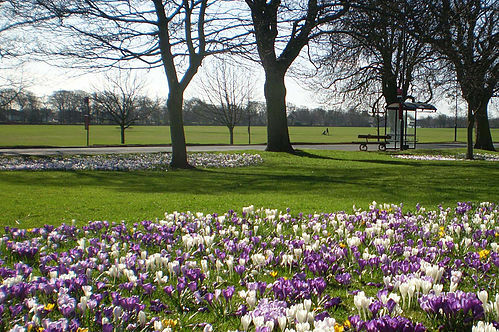 We’ll see you all amongst the crocuses on Saturday at 9am then! February is already parkrun history! The shortest month saw a drop in the number of parkruns completed by Striders (‘only’ 71!) but this was probably due to the great Fountains’ Café closure and a weekend of windy cancellations! In fact, the club were better travelled than in January with 17 different locations visited across the four weekends! We also saw our first ‘first finishers’ of the new year, at Wetherby and Aberdare, and our first overseas parkrun of the year. So here we go… remember that what is listed here is: Finishing Position, Gender Position, Name and Time. A quiet start to the month due no doubt to the extreme cold, leaving courses frosty and hard across the area. Add to that the Fountains Abbey Café renovation and many took the opportunity of a lie-in. Your editor found the cold had actually turned muddy Wetherby into a decent hard-track though, and bagged the first ‘first finish’ of the year. 5 runs. Yes – 5 runs! To be fair, Harrogate and Fountains were both cancelled due to the horrid wind and it was pretty grim out there. So just the 5 heroes to report on! Denmark: the home of Jan Mølby, Carlsberg, Lego and morose, dimly-lit BBC2 detective series. It’s also the home of the well-established Amager Fælled parkrun in Copenhagen – visited by Jo Baxter! Doubtless frustrated at the previous week’s cancellation, Team Strider were also out in force at Harrogate, whilst Tom returned to his habitual blistering form at ‘Fabbey’. A whopping 12 venues visited by our Striders last weekend, as spring-like weather began to appear! 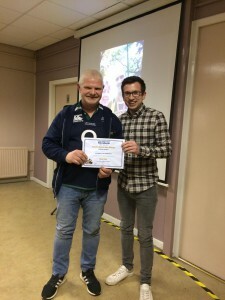 Congratulations to Dan Foley on his ‘first finisher’ at Aberdare – something positive to bring home from his trip to the Rugby. So that’s it for parkruns In February – 71 Free, Weekly, Timed Runs and another 350km in the bag. Well Done Folks! 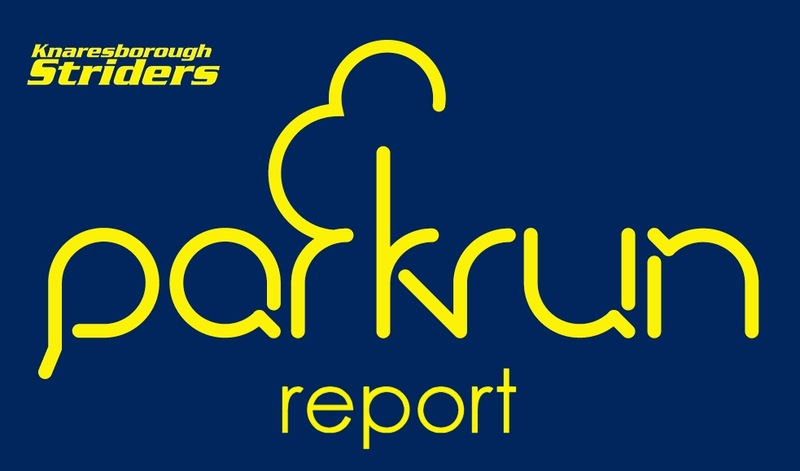 If you’re missing, please let me know – it will be due to one of two things: a) the editor’s incompetence, or b) you haven’t selected ‘Knaresborough Striders’ as your club in your parkrun profile – help on that can be found here: update running club. Have you tried the local lotto yet? We are now part of the Local Lotto, where 60% of the ticket price goes to good causes (including us!) and every ticket has a 1 in 50 chance of winning a prize every week! You can now access the local lotto every week by clicking ‘Local Lotto’ at the top of our website. Click HERE to buy your Lotto Tickets now! 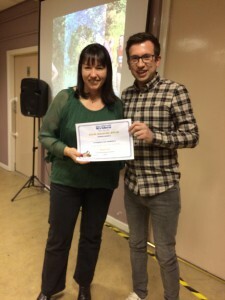 Read more about our cause at our The local lotto homepage – thanks to Dan Wilson for all his hard work in making this possible!